Like his hero and mentor W.K. Lamb, former UBC Chief Librarian Basil Stuart Stubbs was one of the great figures in B.C. literary life, little-known by the public but fundamental to the maturation of literary culture in the province, in Western Canada, and in Canada. Stuart-Stubb's work outside of UBC Library was enormously constructive, making him a worthy recipient of the fourth annual Gray Campbell Distinguished Service Award in 2004 for his outstanding contributions to the book industry in British Columbia. In 1967, Stuart-Stubbs and bookseller Bill Duthie collaborated in the production of the first edition of Canadian Books in Print, working with Harald Bohne at the University of Toronto Press on its publication. As Chairman of the U.B.C. President's Committee on University Publishing, he was instrumental in establishing U.B.C. Press, served as the founding Chair of its Board from 1970 to 1982, and was also Acting Director of the Press from January to November in 1982. During the 1972 UNESCO Year of the Book he organized the first-ever Conference on Western Regional Publishing, which led to the formation of the B.C. Publishers Group in 1974, later renamed the Association of Book Publishers of B.C. in 1978, and The Book Publishers Association of Alberta in 1975. "Basil was many fine things -- a scholar, a lover of literature, a friend -- but for me, his memory will always be backlit by his courage to be a librarian who understood that without writers, libraries wouldn't exist," says founding Public Lending Right chair Andreas Schroeder, "When all around him, Canada's librarians were rejecting and protesting PLR, Basil had the extraordinary courage not only to support writers in their efforts to achieve PLR, but to vigorously promote the program to his fellow librarians. He took a lot of flak for that, but his support and dedication never wavered, and eventually most of his colleagues came to agree with him. Canada's writers owe Basil a huge debt of gratitude; we will not forget him." Stuart-Stubbs was also one of the founders in 1978 of the Canadian Institute for Historical Reproductions in Ottawa, an organization that makes early Canadiana more accessible to the public, in microfiche and on-line; he was its third President from 1986 to 1988. From 1987 he served on the founding Board of the Canadian Centre for Studies in Publishing at Simon Fraser University. He acted as a consultant to several governments and their agencies, including the BC Arts Board, the Social Sciences and Humanities Research Council, the Canada Council and the National Library. In 2004 he was the Chairman of the Publications Committee of the Bibliographical Society of Canada. "Basil was a dedicated and tireless advocate for the Canadian library, publishing and book trade communities," says UBC professor Judi Saltman. "He was a gifted Director at UBC's School of Library, Archival and Information Studies, where he was supportive of and tremendously kind to colleagues and students. He will be deeply missed." Born in Moncton, New Brunswick on February 3, 1930, Basil Stuart-Stubbs left Moncton at age sixteen with his parents and moved to Vancouver. He received his B.A. (Hon. Phil.) from U.B.C. in 1952 and his B.L.S. from McGill University in 1954. His library career commenced at McGill University where he was a reference librarian from 1954 to 1956. He joined the staff of UBC Library in 1956 as a cataloguer, became the first Head of the Special Collections Division in 1960, and then the Coordinator of Collections in 1962. He was responsible with Earle Birney and Anne Yandle for the creation of the archival collection on Malcolm Lowry at UBC Special Collections, the world's foremost reference source for research about Lowry. In 1964, at the age of 34, he was appointed University Librarian. Early in his career his interest in publishing was spurred by his involvement in the production of the British Columbia Library Quarterly, designed and printed by Robert R. Reid from 1957; Stuart-Stubbs became its editor in 1963/64. In 1959 he became the first Circulation Manager for the two U.B.C.-based magazines Canadian Literature and Prism INTERNATIONAL. In 1965 he was one of the founders of the Alcuin Society, and worked with the fine printer Wil Hudson in producing its first publications; today among its many other initiatives the organization provides awards for excellence in Canadian book design. Professionally, Basil Frederick Stuart-Stubbs served as University Librarian at UBC for 17 years (1964-1981) and was Director of the School of Library, Archival and Information Studies (1981-1992). During the former period, in 1977, he oversaw the creation of an inter-library lending network for provincial universities and colleges on behalf of the B.C. Ministry of Education. During the latter period he implemented the first post-graduate degree program in North America in the field of archival studies. For a dozen years he taught at the School the only course available on publishing in British Columbia. As an author, Basil F. Stuart-Stubbs was co-author of The Northpart of America (Toronto: Academic Press Canada, 1979) with Coolie Verner, a limited edition atlas of historical maps, and he provided the introduction for A Short Account of a Northwest Voyage Performed in the Years 1796, 1797 & 1798, by Ebenezer Johnson (Vancouver: Alcuin Society, 1974). He also compiled Maps Relating to Alexander Mackenzie: A Keepsake for the Bibliographical Society of Canada (Vancouver, 1968). Basil Stuart-Stubbs died at Marion Hospice in Vancouver on May 29, 2012, at age 82, after a battle with pancreatic cancer. His wife, Brenda Peterson, a librarian with UBC Library, and his family were at his side. He was predeceased by his parents, Thomas Edward and Amy Jubilee, sister Eileen Cooke, and daughter Kathleen Amy, and survived his wife Brenda, daughter Megan, son-in-law Nick Murphy, grandson Alexander, first wife Nancy, sisters Patricia Prince (Bob) and Joan Symons, and numerous nieces, nephews, cousins, and in-laws. The UBC flag was lowered in his honour on June 1st. In lieu of flowers, he proposed that friends consider buying a book by a Canadian author or making a donation to a library. Privately, he spent decades researching his family's genealogy and enjoyed many travels abroad. As an amateur pianist and avid concert-attendee, he had a lifelong passion for collecting sheet music, recordings, and books by and about pianists. Revered and loved for his gentlemanliness, Basil Stuart-Stubbs refrained from playing the piano for others, including his piano instructor. "While gentle in voice and manner," said Paul Whitney, former Chief Librarian of Burnaby and Vancouver Public Libraries, "Basil was a giant in the world of libraries and books. He will be greatly missed by us all." Inaugurated in 2013, the annual Basil Stuart-Stubbs Prize for Outstanding Scholarly Book on British Columbia, sponsored by UBC Library and the Pacific BookWorld News Society, recognizes the best scholarly book published on a BC subject by a Canadian author. Queen Elizabeth Diamond Jubilee Medal, in 2012. Stuart-Stubbs, Basil. Maps relating to Alexander Mackenzie: a keepsake for the Bibliographical Society of Canada/Soci't' bibliographique du Canada (Vancouver: University of British Columbia Library, 1968). 1798. By Ebenezer Johnson. With an introduction by Basil Stuart-Stubbs. A Survey and Interpretation of the Literature of Interlibrary Loan. With K.
The Northpart of America (Toronto: Academic Press, 1979). With Coolie Verner. Editor of: Changing Technology and Education for Librarianship and Information Science (Greenwich, Conn.: JAI Press Inc, 1985). [Alan Twigg / BCBW 2012] "Library"
It's typical Basil that when he was notified of this award he was sure we must be looking for some other Basil and couldn't imagine what he had done to deserve such a thing. His day job was running the UBC Library, a challenge sufficient by itself to drive ordinary mortals around the bend, which has been proven on several occasions apparently. But Basil carried it out in an exemplary manner for 17 years. For that alone he deserves a medal. But it is a testament to the breadth of his interests and his great but gentle energies that it is mainly for his extra curricular activities we are honoring him tonight. His library career began at McGill University where he was a reference librarian from 1954 to 1956. He joined the staff of UBC Library in 1956 as a cataloguer, became the first Head of the Special Collections Division in 1960, and then the Coordinator of Collections in 1962. He helped create the archival collection on Malcolm Lowry at UBC Special Collections, one of the world's foremost resources for Lowry research. He served as University Librarian at UBC (1964-1981) and was Director of the School of Library, Archival and Information Studies (1981-1992). During this latter period he implemented the first post-graduate degree program in North America in the field of archival studies. For a dozen years he taught at the school the only course available on publishing in British Columbia. He edited the British Columbia Library Quarterly 1963/64. In 1965 he was one of the founders of the Alcuin Society, which provides awards for excellence in Canadian book design. In 1967 he and bookseller Bill Duthie collaborated in the production of the first edition of Canadian Books in Print. As Chairman of the U.B.C. President's Committee on University Publishing, he was instrumental in establishing U.B.C. Press, and served as the founding Chair of its Board from 1970 to 1982. I first met Basil when he organized the first and only Conference on Western Regional Publishing in 1972. It was the year in which Mary and I published the first issue of Raincoast Chronicles, way up in Pender Harbour where we despaired of ever being noticed by the outside world. But Basil noticed us and somehow managed to get me to park my bulldozer long enough to come to this meeting he was convening for people doing things like we were doing. This was no modest gathering, it turned out. It brought together everyone who was publishing anything in western Canada, from books to one-issue wonders like ours. It filled a large convention room in downtown Vancouver. We listened to inspirational talks from folks like Bookpeople, the San Francisco distributor who hand sold a million copies of the hippie bible The Whole Earth Catalogue, and who urged us to break away from the clutches of traditional eastern publishing and forge our own destiny just as they were doing. Poor Bookpeople, they finally bit the dust this year, but a part of them carries on as Publishers Group West, the dominant distributor of independent presses in the US and a corporate relative of Raincoast Books. At Basil's meeting participants spent most of their time wandering around bumping into each other exclaiming over and over how impressed and empowered they felt to discover there were so darn many of us. It was there for the first time I realized we were not involved in something solitary and quixotic, but were part of a larger cultural movement with common interests and the potential for the kind of growth that might even provide an opportunity to permanently park one's bulldozer. It was a stunning concept for me at the time. It was also where I first met many of the people I see in this room tonight and whom we would come to know as our publishing family. It was the first time we had ever been brought together in one place, and the direct result was that we dated each other up to get back together as soon as possible, which is how we came to form the old BCPG, which wasn't hard enough to say so we changed it to the ABPBC, which is still going strong after 30 years. I don't know how Basil came to organize that convention and I'm sure if you asked him he would credit seven other people, but I was there and it was him alright. It was typical of the visionary influence he has had on our literary landscape. If there weren't enough other reasons already, for that act alone we that act alone we would owe him tonight's honour. So Basil old friend, I'm sorry to blow your cover after all these years, but yours is an act so classy it simply can't stay a secret any longer. It gives me great pleasure to present the 2004 Gray Campbell Award for service to books over and above the call of duty to Basil Stuart Stubbs. -- speech delivered by Howard White of Harbour Publishing, April 15, 2004. Western Canada's indispensable Basil Stuart-Stubbs has received this year's Gray Campbell Distinguished Service Award for outstanding contributions to the B.C. literary community. Stuart-Stubbs' quiet accomplishments as a librarian have been far-reaching. �?� He was instrumental in establishing UBC Press and served as the founding chair of its board from 1970 to 1982. �?� He organized the first conference of western publishers that gave rise to the Association of Book Publishers of B.C. �?� He and bookseller Bill Duthie collaborated in the production of the first edition of Canadian Books in Print. �?� He helped create the British Columbia Library Quarterly and the two U.B.C.-based magazines Canadian Literature and Prism INTERNATIONAL. �?� He was one of the first proponents of the Public Lending Right legislation that compensates authors for having their works in libraries. �?� He was one of the founders of the Alcuin Society that provides awards for excellence in Canadian book design. �?� He co-authored The Northpart of America with Coolie Verner and helped publish the rare memoir by Ebenezer Johnson entitled A Short Account of a Northwest Voyage Performed in the Years 1796, 1797 & 1798. �?� He co-founded the Canadian Institute for Historical Reproductions in Ottawa and conducted major studies of Inter-Library Loans in Canada (1975) and British Columbia (1992). �?� He served on the founding board of the Canadian Centre for Studies in Publishing at Simon Fraser University. �?� With Earle Birney and Anne Yandle, he generated the archival collection on Malcolm Lowry at UBC Special Collections, the world's foremost reference source for research about Lowry. �?� For a dozen years he taught the only course available on publishing in British Columbia at the School of Library, Archival and Information Studies (UBC). The School of Library, Archival and Information Studies, The iSchool at The University of British Columbia, regrets to announce the passing of its former director, Basil Stuart-Stubbs, who died in hospital May 29, 2012 after a battle with pancreatic cancer. His wife, Brenda Peterson, a librarian with UBC Library, and his family were at his side. Professor Stuart-Stubbs served as Director of the School from 1981 to 1992. His career with UBC began in 1956, when he joined the UBC Library as a librarian. He was named Coordinator of Collections in 1962, and appointed as University Librarian in 1964, serving in that position until 1981 when he accepted the position of Director of the School of Librarianship, soon renamed the School of Library, Archival and Information Studies. Under his leadership, the School admitted its first class in the brand-new Master of Archival Studies program in September 1981, alongside the already well-established Master of Library Science program. He oversaw construction of the School's first computer laboratory, which quickly expanded. That work caught the attention of the American Library Association, which sent Professor Stuart-Stubbs a letter in 1988 commending the School for increasing the use of computerized information services for LIS students in an era of economic restraint. As University Librarian, Professor Stuart-Stubbs was a key player in the creation of the University of British Columbia Press in 1971, and in 1977 he oversaw the creation of an inter-library lending network for provincial universities and colleges on behalf of the B.C. Ministry of Education. During his career, he contributed as an author, editor and conference presenter on the topics of library history and education, publishing, copyright, and resource sharing. A Fellow of the Royal Society of Canada, he was recognized with several awards over the years, including the Canada Medal in 1967, the Outstanding Academic Librarian Award from the Canadian Association of College and University Libraries in 1978, and the Order of Canada in 2005. 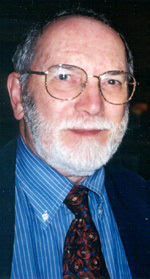 He was presented with the Gray Campbell Distinguished Service Award in 2004, for tremendous contributions to the British Columbia publishing industry, and was named a Professor Emeritus of UBC following his retirement from the University. The family is planning a gathering for friends and family in late summer or early fall. In his death notice, Basil Stuart-Stubbs requested that in lieu of flowers friends could purchase a book by a Canadian author or donate to a library in his memory. One of the last great scholar librarians, his life was about books and he imagined no worthier a tribute. A soft-spoken, Old-World gentleman hidden behind thick lenses, a finely clipped beard and a whisper, Stuart-Stubbs preferred to step back from the spotlight, modestly making suggestions and backroom decisions. His commitment to Canadian publishing added a richness and breadth rarely realized. "He just went about in a quiet and unassuming way, and put in things that were surprising in their effectiveness and really quite revolutionary in their impact," said Roland Lorimer, director of the Canadian Centre for Studies in Publishing at Simon Fraser University. "He didn't assume, like many did of his age and his generation, that books are created elsewhere, but rather that books are created everywhere they are given the opportunity to be created." Another colleague, Paul Whitney, former chief librarian of Burnaby and Vancouver public libraries, said Stuart-Stubbs understood the broader ecosystem of publishing and reading. "He was able to move beyond parochial interests of the institution and really contribute to the broader good." As the head librarian at the University of British Columbia, Stuart-Stubbs helped found two UBC-based magazines, Canadian Literature and PRISM International, and was the founding chair of UBC Press, where he led the board for 10 years. In 1967, along with Toronto publisher Harald Bohne and Vancouver bookseller Bill Duthie, he helped produce the first issue of Canadian Books in Print. He was the first president of the Canadian Association of Research Libraries and was instrumental in establishing the Association of B.C. Book Publishers, the Canadian Institute for Historical Microreproductions, the SFU Centre for Canadian Publishing and the Alcuin Society. A highlight of Stuart-Stubbs's career was going on a book-buying spree through Europe in the mid-1960s, with a $3-million donation from industrialist H.R. MacMillan. He brought back precious manuscripts and books to stock the UBC library, for a time making it the envy of North American academic libraries. He was also a leading advocate for the establishment of the Public Lending Right for Canadian authors, controversial legislation that came into effect in 1986 compensating Canadian authors for having their works in Canadian public libraries. In 1974, he co-wrote a groundbreaking article on this issue in Saturday Night magazine titled: "When you read a library book, should the author be paid? The case for the public lending right." "As performance is to music, reading is to the book," he wrote, arguing that while libraries help writers to reach a larger community, the authors must also be recompensed for their creative work. "Basil was many fine things, a scholar, a lover of literature, a friend," said Andreas Schroeder, the Public Lending Rights founding chair. "[But] his memory will always be backlit by his courage to be a librarian who understood that without writers, libraries wouldn't exist." Stuart-Stubbs died in Vancouver on May 29 from pancreatic cancer at the age of 82. Born in Moncton in 1930 to Thomas and Amy Stuart-Stubbs, Basil was cursed with a weirdly hyphenated name and an emotionally absent mother. The moniker mystery was later solved: His father had added the name of a bricklayer to whom he was apprenticed at 13, shortly after arriving in Canada from Britain. He cared more for Danny Stuart than he did for his own father and appropriated the name as a mark of respect. Basil's parents had him late in life and his mother suffered a long bout of postpartum depression that made her unavailable to him. Instead, he was raised by his three sisters and a series of Acadian maids, from whom he learned French. As a boy, Basil helped his father, who then worked as a salesman, stock grocery store shelves with a range of domestic products including birdseed, antiseptic, laundry bluing and stove polish. "In a short time [my father] had all but cornered the market for such products as shoe polish and brass polish," wrote Stuart-Stubbs in an unpublished memoir. "The end result was that the family never experienced hardship during the Great Depression and the Second World War." Still, he contributed to the war effort by foraging for scrap metal with the local boys; a highpoint came when they were given an entire car to demolish. When Stuart-Stubbs was 16, the family moved to Vancouver and he became devastatingly lonely, turning to books to fill the void. He never turned away. After finishing high school at Vancouver's Lord Byng Secondary in 1949, he travelled up the hill to UBC, graduating with a degree in philosophy in 1952. Then he was off to Montreal, where he received his bachelor of library science from McGill University in 1954. He spent the next couple of years working as a reference librarian on campus. In 1955, Stuart-Stubbs married Nancy Ballard, whom he had met at McGill, and they eventually had two daughters, Kathleen and Megan. He and his wife left Montreal for Vancouver in 1956, where he took a position at the UBC Library, first as a cataloguer, then in the Special Collections Division, and finally as the university librarian in 1964. One of his greatest achievements was creating the Malcolm Lowry collection with Earle Birney, who taught in the English Department. This remains the world's foremost reference source for Lowry scholars. In 1965, he joined up with six other Vancouver bibliophiles to found the Alcuin Society. The organization describes itself on its website as being "for lovers of books, the book arts, fine printing and reading." Today, among other initiatives, it provides awards for excellence in book design. B.C. publishing took a great leap forward in 1972, during the UNESCO Year of the Book, thanks to Stuart-Stubbs's foresight. He organized the first-ever conference on Western regional publishing, bringing together disparate pockets of publishing and even succeeding, as B.C. publisher Howard White admitted, in getting him to park his bulldozer and head over to check out the conference: "It was the first time I realized we were not involved in something solitary and quixotic, but were part of a larger cultural movement with common interests and the potential for growth that might even provide an opportunity to permanently park one's bulldozer." As a result of this gathering, the Association of Book Publishers of B.C. was founded in 1974. "It's typical Basil," said White, when presenting Stuart-Stubbs with the Association's Gray Campbell Distinguished Service Award for outstanding contributions to the B.C. literary community in 2004, "that when he was notified of this award, he was sure we must be looking for some other Basil and couldn't imagine what he had done to deserve such a thing. The short answer is everything." Stuart-Stubbs co-founded and served as president of the Canadian Institute for Historical Microreproductions (now ) in 1978, an organization that transfers Canadian documents onto microfiche and online, thus making them more accessible to the public. Also in 1978, years after his marriage to Nancy ended, he fell in love with fellow librarian Brenda Peterson, who ultimately replaced him at Special Collections. They were married 10 years later, but always pegged their anniversary to the first day they spied each other over a trolley of books. Stuart-Stubbs retired as UBC librarian in 1981 and became a professor and the director of the School of Library, Archival and Information Studies. During his tenure he implemented the first postgraduate degree program in North America in the field of archival studies. In 1987, he served on the founding board of the Canadian Centre for Studies in Publishing at Simon Fraser University, retiring from this position in 1992. He went on to become an adviser for both the federal and provincial governments, working with the National Library Advisory Board, the Canada Council and the B.C. Arts Council Board. After he retired, he and Brenda "rescued" a Vancouver house from an estate sale, establishing it as an award-winning heritage building. They stocked their library with books published in 1912, the year the house was built. An amateur pianist, he spent years collecting sheet music, recordings and books by and about pianists. "Revered and loved for his gentlemanliness," wrote Alan Twigg in the online website ABC Book World, "Basil Stuart-Stubbs refrained from playing the piano for others, including his piano instructor." Stuart-Stubbs leaves his wife, Brenda, daughter Megan and grandson Alexander. He was predeceased by his daughter Kathleen. Approximately 200 people attended a gathering to honour Basil Frederick Stuart-Stubbs, C.M., B.A., F.R.S.C., B.L.S. on September 16, 2012 at the former UBC Faculty Club at the University of British Columbia. Speeches were made by Richard Prince (family life), Paul Whitney (contributions as a librarian), Alan Twigg (contributions to writing and publishing) and Ingrid Parent (announcement of a new book award named in his honour), emceed by Michael Kluckner, with a musical interlude by Tom Shorthouse, ending with the audience listening to one of the works by Brahms that Basil enjoying playing, Intermezzo in A Major (Op. 118, No. 2). Here is the text of Paul Whitney's address, followed by a brief summary of Alan Twigg's remarks. Basil was a unique individual. A scholar, leader, mentor, teacher, writer and immensely skilled librarian - he was all of these things. As a librarian, he had the good fortune to be at the right place, UBC library and indeed Canada, at the right time, a period of growth, expanding mandate, a growing feeling of nationalism and an overarching optimism over what was possible, what could be achieved. In providing what must be of necessity a brief overview of his career I thank a number of people who shared their insights and provided information including Basil's long standing Library colleagues Bill Watson and Doug MacInnes, his School of Library Archive and Information Studies (hereafter SLAIS) colleagues Terry Eastwood and Ann Curry, Richard Moore for sharing relevant excerpts from the Library newsletter Biblos, Nancy Stuart-Stubbs, Lynn Copeland and especially Brenda Peterson who, among many other things, is the keeper of the Stuart-Stubbs archive. With a BA in philosophy from UBC in 1952 and a Bachelor of Library Science from McGill obtained in 1954, Basil's professional career began at McGill as stack librarian responsible for the central library's bookshelves - in the words of Bill Watson a fellow student at McGill and his career long co-worker the task of finding space for ever growing collections at McGill emphasized for Basil the necessity of long range planning and rapid adjustments to space needs - these were always issues for him at UBC. Following his job as stack librarian, Basil worked as the only reference librarian at McGill. In 1956 Basil and his wife Nancy moved to Vancouver after Basil was hired for a job in the UBC Library Cataloging Dept by Sam Rothstein and Neal Harlow who had travelled east to recruit staff. In retrospect, despite Basil being the only hire on this trip, it is arguably the most productive trip ever made on behalf of UBC Library. From these early years I am told that there are still catalogue cards for Russian titles in his unique hand sequestered in the Library shelf list. In two year increments Basil worked in Cataloguing, Serials, Special Collections and as overall coordinator of collections. It was when he became the Head of the Library's Special Collections Division that his passion for books and building meaningful collections flourished. The achievements of this period included buying trips in search of rare books and negotiating the purchase of the Malcolm Lowry archive which remains a major highlight, if not the highlight, of the Library's collection. After 8 years and 4 positions, Basil was appointed University Librarian in 1964, a position he held for 17 years. While content (the book, the music) was central to Basil's interests, professional and personal, his career as University Librarian incorporated access and cooperation as guiding principles in support of strong collections. His time at the library was marked by growth in staff, collections and library locations. When he became University Librarian there was the Central Library and one branch library. When he retired there were 13 branch libraries and 44 reading rooms. Of special significance for me was the innovative and architecturally interesting Sedgewick undergraduate library where I worked as a student librarian and first met Basil. The overall collection doubled in size and then doubled again and became in his words "one of the finest academic collections on the continent";. Staff subject specialization was introduced, bibliographic instruction and, of course, the deployment of computer technology for both information retrieval and operational efficiencies. The result of all of this work was that UBC Library had the highest library use of any university library in Canada and was held in wide esteem for both collections and technological innovation. When his colleagues speak about Basil as a boss and colleague there is remarkable consistency in their assessments. The phrase "quiet trust"; comes up. Bas was no micromanager. He hired good people, made his expectations clear and let you get on with it. It didn't matter what job you held - if you were bright and a good person that was good enough for Basil. And just as Basil's interests and engagements were wide ranging, he got his staff involved in things they didn't expect to be involved in. I try to visualize all of you, librarians, library assistants, archivists, systems analysts, programmers, gathered together in one place, probably the size of a hangar, and I am staggered by the breath and depth of knowledge you represent. You are a national treasure. For him the Library staff were a community and he recognized "it isn't possible to put 400 people together in physical surroundings which leave something to be desired with work to do that is not always interesting or creative, and have universal pleasure, love and happiness";. Challenges aside, he still described the staff as a fellowship. Throughout the 59 years I knew him I always did and do think of him as the Great Enabler. His own Canadian ethos of the place and time, his abilities and creativity, his time and efforts, his knowledge and experience were there to enable young artists and writers, craftsmen and musicians, staff and associates and family, to have what they needed to develop what they could do or be. While never seeking a leadership role in general Canadian or international library associations, Basil played a crucial role in the development of BC, Canadian and North American research library associations. Lynn Copeland former Dean of libraries at SFU recalls reading Association of Research Library minutes when at Rutgers in 1972 and being struck by the clarity and insight of the, at that time unknown to her, Canadian librarian Basil's contributions on issues. This ultimately reinforced her decision to come to BC. Basil treated his library colleagues in BC and across the country as peers. He played a leadership role in the formation of the Canadian Association of Research Libraries, TRIUL which brought UBC, U Vic and SFU together to collaboratively develop collections and services. He was also instrumental in the development of the BC Union Catalogue. Canada's national inter-library loan network was initiated by a UBC Library report Basil co-authored. It should also be noted that Basil believed strongly in a bilingual Canada and he noted with dismay that he was the only member west of Thunder Bay in ASTED, the association representing French language librarians in Canada. Basil was accepted by his faculty colleagues as a scholar peer, something my friends in academic libraries tell me isn't always the case for university librarians. He was described as "a force on campus"; playing major roles in the development of campus buildings beyond the library and the recruitment of University Presidents. In a characteristic move he supported students when they sought representation on the University Senate, a body he served on for 17 years. His political astuteness was in evidence when he made the University Librarian's washroom available to then University President Walter Gage so he could change clothes and such things when he found himself without access to one for a period of time. In 1979 the book he co-authored with Verner Coolie, The Northpart of America was published. It is a beautifully produced folio atlas of maps printed from the beginning of the 16th century through the mid 19th century. One of his proudest achievements was when he became a Fellow of the Royal Society - important recognition for his contributions from the broader academic world. This broad recognition of his accomplishments was of course reinforced when he received the Order of Canada. Basil was the go to guy for the Provincial and Federal Governments when advice was needed on matters relating to libraries and publishing. It is worth noting that when Basil's obituary appeared in the Globe & Mail, everyone I talked with about it said they learned things about Basil's activities which they had no idea about. Doug MacInnes speaking of Basil's days as University Librarian noted that Bas would disappear from the office and "we had no idea what he was doing";. As it turns out, he was doing a lot. Alan Twigg will be providing an overview of Basil's contributions in the world of publishing but I will note that Basil was a founding member of the Alcuin Society in 1965. The Society continues to this day and oversees important Canadian book design awards. In 1978 Basil co-founded the Canadian Institute for Historical Microreproductions an initiative which made thousands of early Canadian printed books available to all libraries. This can be seen as a precursor of mass digitization initiatives today and indeed the CIHM collection has greatly assisted with the digitization of early Canadian books. In recent years he identified this project as his proudest achievement. Throughout his career his passion for research and scholarship informed his initiatives as a librarian. In later years people would comment on his immense knowledge of the workings of the University and this certainly served both the Library and SLAIS well. This is perhaps best evidenced by his attracting the necessary funds and teaching staff to get the archival programme launched when he joined SLAIS in 1981 following his retirement as University Librarian. His arrival at SLAIS coincided with the first intake of the Master in Archival Studies students. His eleven years as Director of SLAIS were marked by quiet but important changes which ensured that current practice was reflected in the curriculum. Former students recall Basil with great fondness noting that he often went the extra mile in supporting them, offering encouragement with the right words at the right moment. I am grateful to him for giving me opportunities to teach and he was instrumental in among other things initiating my involvement with the Canadian Centre for Studies in Publishing. I know that there are many in this room who can share similar stories about the opportunities which Basil provided for them. In his retirement among a number of pursuits we shared included visiting second hand bookshops, music stores and brew pubs supplemented by movies and good meals. During his retirement he devoted himself to documenting little considered areas of the history of library associations in Canada, a pursuit which brought together his love of research, libraries and arcane facts. He was indeed sui generis, one of a kind. The right man in the right place at the right time and we, collectively and individually are all the better for his presence among us. Thank you Basil, for everything - we miss you very much. After Paul Whitney, Alan Twigg spoke about Basil Stuart-Stubbs' remarkable charm, noting that he managed to have an enormous impact for someone who often spoke barely above the level of a whisper. -- He helped create two UBC-based magazines that are still functioning, Canadian Literature and Prism INTERNATIONAL (serving as circulation manager for both), as well the British Columbia Library Quarterly, which he also edited. "It's remarkable in itself for anyone to be involved in starting three successful publications, and yet that was just one of Basil's many accomplishments," Twigg said. "Putting the words together, that's the fun part of a publication; getting it into people's hands, doing the distribution, that's really the key job. And he did that for Canadian Literature at a time when most people didn't believe that such a thing as Canadian literature existed." -- In 1967 Basil and bookseller Bill Duthie collaborated in the production of the first edition of Canadian Books in Print, working with Harald Bohne at the University of Toronto Press on its publication. "After that, Canadian books could never be invisibilized again," Twigg said. "Nowadays lots of people graduating from Creative Writing departments don't realize that not so long ago Hugh MacLennan was considered a radical for actually setting his novels in places like Nova Scotia or Quebec. It's taken for granted nowadays that one can get an agent and publish a collection of short stories set in Sooke or Williams Lake, and even expect to be reviewed, and maybe land a job teaching writing to others after only one or two books! Well, Basil did a great deal to pave the way." -- As Chairman of the U.B.C. President's Committee on University Publishing, Basil was instrumental in establishing U.B.C. Press, served as the founding Chair of its Board from 1970 to 1982, and was also Acting Director of the Press from January to November in 1982. -- During the 1972 UNESCO Year of the Book he organized the first-ever Conference on Western Regional Publishing, which led to the formation of the B.C. Publishers Group in 1974, later renamed the Association of Book Publishers of B.C. in 1978. "And to this day there's a collegial spirit to the ABPBC that is different from the Ontario world. Now British Columbia is home to the biggest Canadian-owned publishing house in Canada, Douglas & McIntyre." -- Basil was one of the founders in 1978 of the Canadian Institute for Historical Reproductions in Ottawa, an organization that makes early Canadiana more accessible to the public, in microfiche and on-line, and he cited this as one of his proudest accomplishments. He was its third President from 1986 to 1988. -- From 1987 he served on the founding Board of the Canadian Centre for Studies in Publishing at Simon Fraser University. "Ann Cowan and Rowland Lorimer had the gumption to start up the Canadian Centre NOT in Toronto," said Twigg, "and I think that must have appealed to Basil, as a New Brunswicker. Although Basil was an ardent nationalist, he could also be a bit of a radical. But at the meetings that I attended with him, he never tried to steer the agenda. Instead he contributed his reassuring presence. Rowly Lorimer remembers Basil contributing along the lines of a kind uncle." -- With Anne Yandle, Basil generated the world's foremost reference source for research on Malcolm Lowry. "One of Basil's countless little-known contributions to Canadian letters was he took his camera and tried to document all the places that Lowry visited or wrote about in B.C." Twigg said. -- He co-authored The Northpart of America with Coolie Verner and he edited Changing Technology and Education for Librarianship and Information Science (Greenwich, Conn.: JAI Press Inc, 1985). -- For a dozen years he taught the only course available on publishing in British Columbia. "I remember very well when I was starting B.C. BookWorld in the late 1980s," Twigg said, "I was surprised and pleased to be asked to speak to Basil's class. It meant a great deal to me, in that formative stage, to be recognized by him, legitimized. Looking back, that was classic Basil. He enabled me, just like he was enabling his students. "We all know Basil's last request was for everyone to go out and buy a Canadian book," Twigg concluded. "The originality of that request, and the simplicity of it, to me, in a word, is charming." The annual Basil Stuart-Stubbs Prize for Outstanding Scholarly Book on British Columbia, sponsored by UBC Library and the Pacific BookWorld News Society, recognizes the best scholarly book published on a BC subject by a Canadian author. The Basil Stuart-Stubbs Prize for Outstanding Scholarly Book on British Columbia was established in memory of Basil Stuart-Stubbs, a bibliophile, scholar and librarian who passed away in 2012. Stuart-Stubbs's many accomplishments included serving as the University Librarian at UBC Library and as the Director of UBC's School of Library, Archival and Information Studies. Stuart-Stubbs had a leadership role in many national and regional library and publishing activities. During his exceptional career, he took particular interest in the production and distribution of Canadian books, and was associated with several initiatives beneficial to authors and their readers, and to Canadian publishing. Three books that reflect the compelling culture, geography and history of British Columbia are featured in the inaugural shortlist for a new award focused on scholarly works. �?�Father August Brabant: Saviour or Scourge? by Jim McDowell (Ronsdale Press). This is a study of the first colonial missionary to live among the Nuu-Chah-Nulth peoples on the west coast of Vancouver Island. The recipient will be announced by April 2013. The inaugural prize, worth $1,000, will be awarded at a reception on May 7, 2013 at UBC's Irving K. Barber Learning Centre.